Let the ocean breeze cool you down as you play the game of a lifetime on a Sandestin golf course! You can marvel at the pristine beaches and lush foliage surrounding the fairway, and practice your swing in one of the most beautiful settings in the country. Read on to discover three of our favorite courses and get ready to tee up in 30A! You can even make a whole vacation out of it with the help of our free Vacation Guide. It has terrific recommendations for local restaurants, events, shops, museums, and many more outdoor activities! Visit the Links Golf Club during your trip to 30A. This exceptional club offers dazzling bayfront views and was named one of the top five golf courses in Northwest Florida. Renowned architect Tom Jackson designed the course in 1973, incorporating a variety of winding fairways. Challenge your technique against the bay breeze and have fun under the Florida sun! For another wonderful Sandestin golfing experience, grab your clubs and check out Burnt Pine Golf Club. This course is known as the “crown jewel of Florida golf”, and when you step on its rolling fairways, you’ll understand why. Rees Jones designed this 7,000-yard gem that has won several awards and titles. It even made the Golfweek list of America’s Best Resort Courses three times! Soak in amazing views of the Choctawhatchee Bay while practicing your swing and take some time to notice the divine smell of the pine forest around you. Wrap up your trip at Raven Golf Club, surrounded by marshes and wetlands. This course was named Best New Course of 2000 by Florida Golf News and hosted the Champions Tour from 2006-2007. Challenge yourself to the variety of settings in the 6,900-yard par 71, including stellar changes of color and texture. One thing is for sure: it’ll be a game to remember! 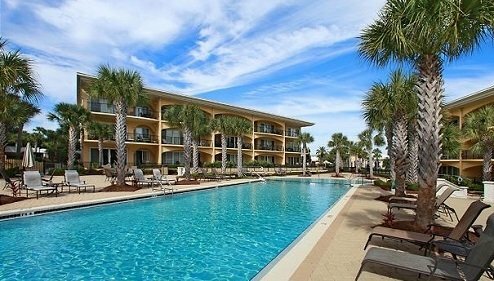 Are you looking for more golfing options in 30A? 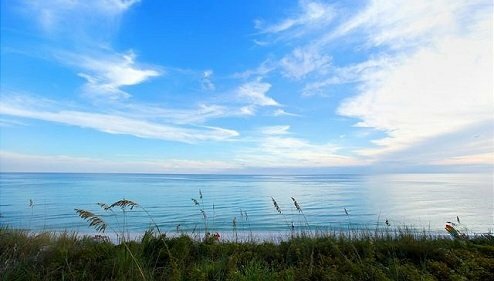 Head east to discover our favorite Santa Rosa Beach Golf Courses! The Santa Rosa Golf and Beach Club is a stellar 18-hole course (especially at sunset!) and the Emerald Bay Golf Club is a must-see. We recommend booking your tee time in advance; these courses are very popular during the summer months. Every golfer deserves a comfy home to retreat to. Once you’re done playing a round at these wonderful clubs, come back to an Adagio condo! 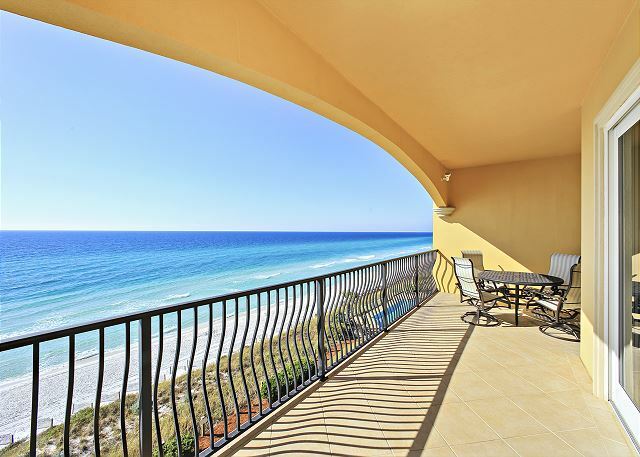 You can treat yourself to the ultimate 30A experience in our C-103 Suite. 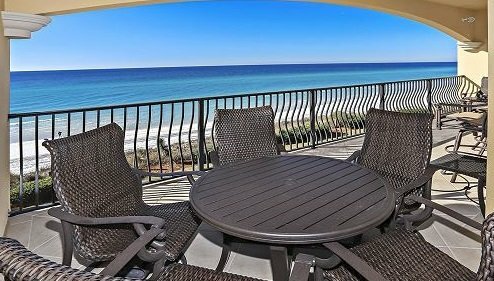 This Gulfside unit lets you take advantage of beautiful views as well as convenient, first-floor beach access. It’s easy to jump out of bed when you have amazing amenities to enjoy! Plus, there’s nothing like waking up to a jaw-dropping ocean view and sipping a cup of coffee on the balcony.